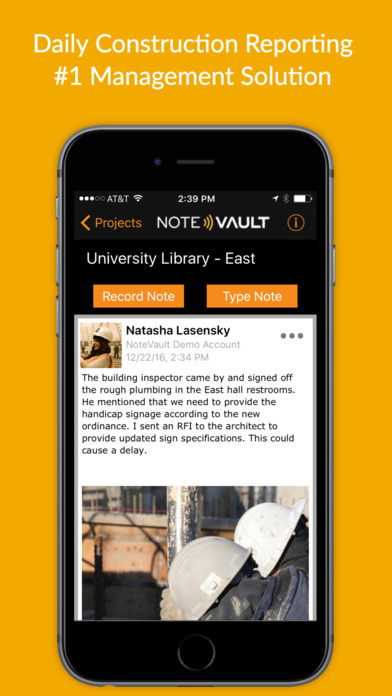 This application lets you stay on job sites and still get your construction reports done adding spoken or typed notes and photos into the app. Instead of putting notes in at your computer, take notes out on the job while information is still fresh. 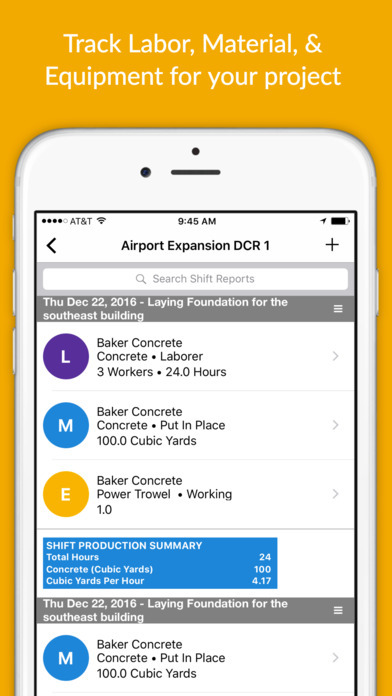 This application is our construction resource tracking app that allows you to log hours and headcount, and record equipment and materials used on the job site. 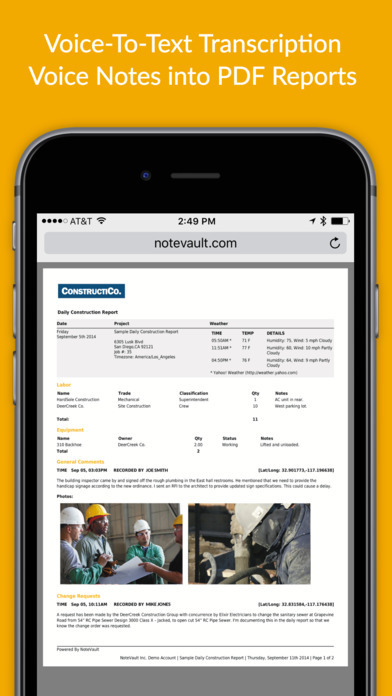 General Contractors and Subcontractors can easily report who worked, and what materials and equipment were used right from their mobile device. 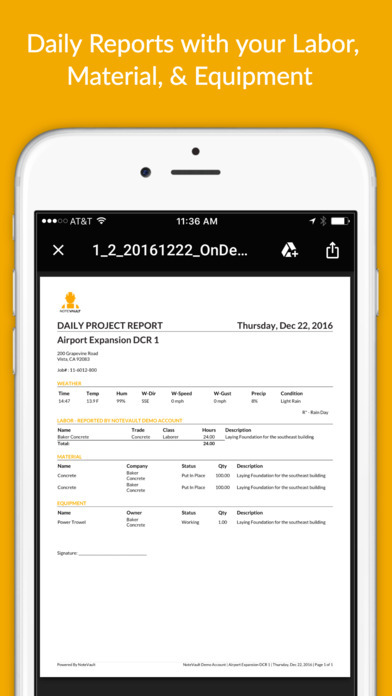 Users can group together Labor, Material, and Equipment entries into Shift Reports and view summary production data in real time.